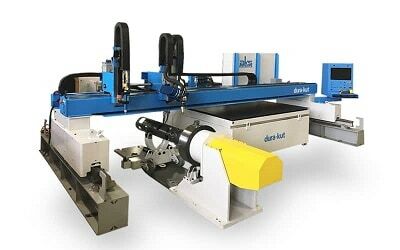 Trading-in your used machine can earn you credit toward the purchase of a new AKS plasma or waterjet cutting system. AKS Cutting Systems is eager to upgrade your operation to the latest and newest technology and equipment. 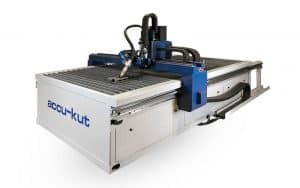 If you have a late model machine, whether plasma, waterjet, laser or other technology, and whether an AKS Cutting Systems model or other brand, and you would like to replace it with a new AKS Cutting Systems machine, ask your sales representative or contact us below. AKS Cutting System will make our best “trade-in” offer to buy your old equipment and deduct that value as a discount off your new machine purchase price. If your old machine is an AKS Cutting Systems machine, we are particularly interested to buy your machine back, refurbish it, and then offer the updated newly improved machine, with a limited warranty, to another buyer. 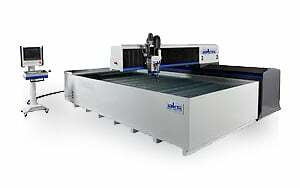 But even if your machine is a different brand, and even a different cutting technology like plasma, waterjet, laser, router, etc., AKS Cutting Systems will use our network of brokers and dealers to find the best trade-in offer on your machine, and provide you the highest trade-in credit toward the purchase price of your new machine. If you are interested in the AKS Cutting Systems Trade-In Program, ask your sales representative or contact us below. We will need photos of your existing machine, specifications of size, power, age, hours, etc., and all important information about the machine, in order to offer you the highest trade-in value and accept your Trade-In machine for credit to save on purchasing a new AKS Cutting System.